Politics in the UK, even in these already complicated and dark times in the referendum campaign, took a sharp turn for the worse yesterday. 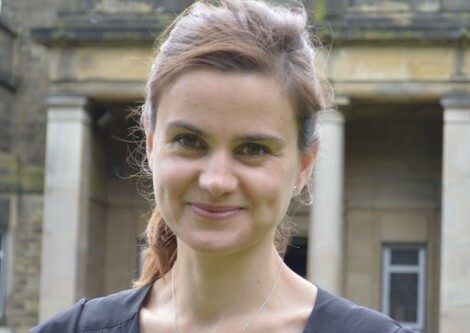 The murder of Labour MP Jo Cox in broad daylight in the Yorkshire town she represented in Westminster will leave deep scars beyond the initial pain and emptiness any followers of British politics feel as a result of the brutal attack. At the time of writing we do not know the extent to which the referendum campaign, and Cox's determined support for the Remain side, are connected. According to eyewitnesses the killer shouted "put Britain first" at the time of the attack.The dreadful news of Cox's death followed shortly after the launch of UKIP's latest poster depicting refugees trying to enter the EU, under the slogan "Breaking Point". This imagery, even by the standards of the referendum campaign, is grim and racist. Farage had also a month ago speculated that violence would follow if people felt their voices were not heard in the referendum. Massie's piece has started a debate of its own - on the extent to which the connection he makes ought to even be permissible, or whether the attack is the work of a lone wolf and hence deeper conclusions should not be drawn. Whatever your view on that causality, Massie's piece is nevertheless vital reading now just 6 days ahead of the EU referendum. Vorheriger piq Europa AIDS-Epidemie in Russland: Schuld sind die Kondome Nächster piq Europa Let them go!